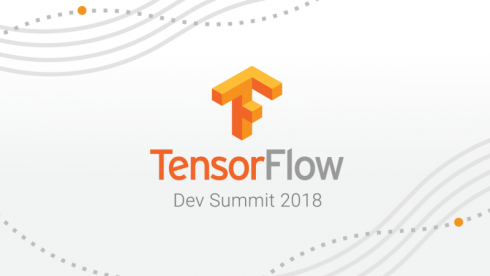 Google announced new improvements to the TensorFlow developer experience at its annual TensorFlow Developer Summit last week. The company announced an improved programming model for Python developers, a new method for running Estimator models, and a new library for machine learning models. To make TensorFlow easier to use, Google announced eager execution, Eagar execution is an intuitive programming model for Python developers designed to remove the distinction between computational graph construction and execution. “You can develop with eager execution and then use the same code to generate the equivalent graph for training at scale using the Estimator high-level API,” Gupta wrote. As part of the execution, Google also announced a new approach to running Estimator models on multiple GPUs. The distribution strategy API enables developers to distribute training across devices and machines, and scale models with minimal code changes. The newly announced TensorFlow Hub is a library designed for publishing, discovering, and consuming reusable parts of machine learning models. “Modules contain weights that have been pre-trained on large datasets, and may be retrained and used in your own applications. By reusing a module, a developer can train a model using a smaller dataset, improve generalization, or simply speed up training,” Gupta wrote. As part of the hub, Google announced a new interactive graphical debugging plug-in to help make debugging easier and give users a way to inspect models in real-time. The debugger is still in its alpha release, and will feature the ability to pause and resume execution at specified nodes, visualize values of tensors, and associate tensors with specific lines in Python code. The company also revealed the upcoming launch of TensorFlow Extended and TensorFlow Moden Analysis at the conference. These solutions are designed to go beyond model training and work end-to-end to build real-world machine learning systems. “These updates to TensorFlow aim to benefit and grow the community of users and contributors — the thousands of people who play a part in making TensorFlow one of the most popular ML frameworks in the world,” Gupta wrote.